Victoria Andrilenas is an Adult and Information Services Librarian at the Morrill Memorial Library in Norwood, Mass. Victoria’s column in the April 5th edition of the Norwood Transcript & Bulletin. The National Air and Space Administration, commonly known as NASA, celebrates its 60th anniversary this year. The first orbit of the moon was Apollo 8’s December 1968 mission, the 50th anniversary of that this December marks the first of a series of significant Apollo mission anniversaries for NASA. 2018 also marks the 20th anniversary of Mercury Astronaut John Glenn’s return to space at the age of 77 on Shuttle Discovery, STS-95. The shuttle flight made Glenn both the first man to orbit the earth and the oldest person in space. Although I am a child of the Space Shuttle era, I find the earlier space programs Mercury, Gemini, and Apollo equally, if not more, interesting. I also find the stories of those who did the engineering and design work of getting man into space fascinating. The Mercury Program ran from 1958-1963 and its purpose was manned orbit of Earth. Alan Shepard’s May 1961 flight (Mercury-Redstone 3 / Freedom7) as the first American in space and John Glenn orbiting Earth in February 1962 (Mercury-Atlas 6 / Friendship 7) are probably its most memorable missions. The Gemini Program, 1961-1966, had two man crews and its goal was to get the American Space program ready for the Apollo Program, including Gemini 4 in 1965 with the first spacewalk. The purpose of Apollo missions, 1967-1972, was manned lunar landing. The tragedy of Apollo 1 when Astronauts Gus Grissom, Ed White, and Roger B. Chaffee were killed in a launchpad fire, the first orbit of the moon in December 1968 (Apollo 8), the first man on the moon in July 1969 (Apollo 11) and Apollo 13 in April 1970 are probably its most memorable missions. MLN collections have plenty of films and books about the America’s early exploration of space. There are popular movies based on true books and documentaries depending on your preference. In addition to the many books written about the space program, there are also several books written by early astronauts. There are also books about less well-known aspects of America’s early space efforts. An article I found online from Computer Weekly’s 2009 40th anniversary coverage of the Apollo 11 mission provides a technical explanation of the often heard comment about today’s smartphones being more powerful than the computers that powered the Mercury, Gemini, and Apollo spaceships. It’s a sobering thought that crosses my mind often as I read about or watch films about that era. For the truly early years of America’s space program, Tom Wolfe’s The Right Stuff (1979) starts with Chuck Yeager breaking the sound barrier in 1947 and covers the Mercury missions. The book and movie of the same name are both in the Morrill Memorial Library collection. Although the film did not do well at the box office it received several Oscar nominations and in 2013 it was selected to be preserved in the United States National Film Registry. The Lost Moon: The Perilous Voyage of Apollo 13 by astronauts Jim Lovell and Jeffrey Kluger, and the 1995 movie Apollo 13, which was based on their memoir, are also both in the Morrill Memorial Library collection. Watching this movie today shows the difference in technology between 1970 and 2018 far more than when I saw it in the theatre and most people didn’t even have flip phones. An interesting bit of trivia regarding the two movies is Ed Harris plays astronaut John Glenn in The Right Stuff and Gene Kranz Flight Director for Gemini and Apollo missions in Apollo 13. If documentaries are more your speed three from 2008 include interviews with astronauts and NASA employees: When We Left Earth: the NASA Missions, In the Shadow of the Moon: Remember When the World Looked Up, and the HBO miniseries From Earth to the Moon. When the first groups of astronauts were selected being a military test pilot was a prerequisite, this requirement eliminated racial minorities and women from the candidate group since in 1959 military test pilots were all white men. There were women and African-Americans who applied to be astronauts before the requirement was lifted in 1965 but it was not until the Space Shuttle era that America had female and non-white astronauts. They had a Dream: the Story of African-American Astronauts, by J. Alfred Phelps (1994), has chapters about six African-American astronauts including Edward J. Dwight, Jr., Robert H. Lawrence, Jr., Guion S. Bluford, Jr., and Ronald E. McNair. Dwight applied to the aerospace pilot research course at Edwards Air Force base in 1962 and was accepted in 1963. However he was not selected for an astronaut group. Lawrence was selected to an astronaut group in 1967 but died the same year in a plane crash. Bluford and McNair were both Space Shuttle astronauts. Two books from 2003 tell the experience of female pilots who underwent astronaut testing and training at the same the time Mercury astronauts did: Promised the Moon: the Untold Story of the First Women in Space, by Stephanie Nolan, and The Mercury 13: the Untold Story of Thirteen American Women and the Dream of Space Flight, by Martha Ackermann. 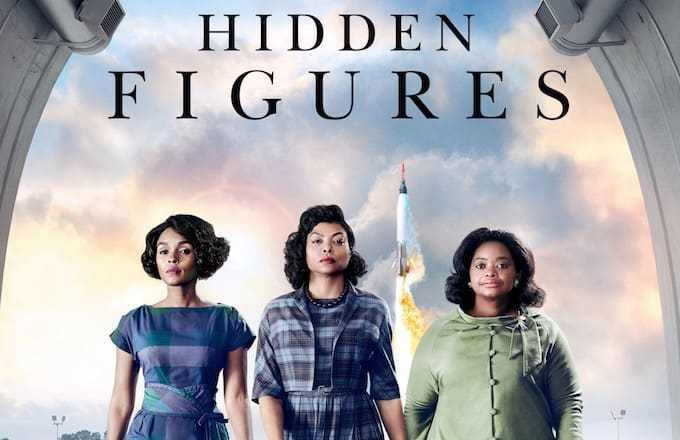 Margot Lee Shetterly’s 2016 book, Hidden Figures: the American Dream and the Untold Story of the Black Women Mathematicians Who Helped Win the Space Race, and the 2017 movie based on her book, bring the critical role African-American women played in the space race to a public audience. Both the book and the film are available in the Morrill Memorial Library Collection. Watching the women use slide rules for calculations and teach themselves how IBM punch cards worked was moments when the technology limitations of the time struck home. Another more recent book that gives us insight into the wives and families of the early astronauts is Lily Koppel’s 2013 book, The Astronaut Wives Club: A True Story. The author conducted extensive interviews with “astrowives” and children. The book provides a different perspective on what Americans read in the 1959-1963 Life magazine coverage of the astronauts. Many of the women were no longer married to their astronaut husbands who at home were often not the heroes they were to the American public. It also makes the women real people who had interests and skills outside of the homemaker role shown in earlier books. For example, Trudy Cooper, wife of Mercury astronaut Gordon Cooper was an accomplished pilot herself. There was also a 2015 TV series with the same title based on the book. If astronaut memoirs are more to your liking, memoirs by Mercury 7 astronauts include Moon Shot: the Inside Story of America’s Race to the Moon, by Alan Shepard and Deke Slayton, and Leap of Faith: an Astronaut’s Journey into the Unknown, by Gordon Cooper. Eugene Cernan was the last man on the moon during Apollo 17. His book, The Last Man on the Moon: Astronaut Eugene Cernan and America’s Race in Space, is also a documentary. For a non-astronaut account of the era, Gene Kranz’s book, Failure is not an Option: Mission Control from Mercury to Apollo 13 and Beyond, is an excellent option. Check back next week for books about the Space Shuttle, children’s books about astronauts and information about some tourist sites that allow visitors to see this history in person.